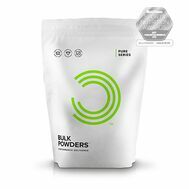 BULK POWDERS™ Instant BCAA is a great tasting, easy mixing, Branched Chain Amino Acid powder. Available in six refreshing flavours, including the amazing Cola flavour, Instant BCAA is the perfect choice for intra workout, or even to sip on throughout the day – delivering a constant supply of all important amino acids. Instant BCAA combines Leucine, Isoleucine and Valine in a 2:1:1 ratio. BULK POWDERS™ Instant BCAA uses only 100% pure instantised Leucine, Isoleucine and Valine for superior quality and easy mixing. BCAAs are considered essential in that they are not produced by the body and must be obtained through our diet. If they are not present in our diet, we would be unable to survive. BCAAs comprise about 1/3 of the protein within our muscles and contribute to the growth of muscle mass. Furthermore, BCAAs contribute to the maintenance of muscle mass, due to high protein content. BCAA can be found naturally in the diet, foods richest in Branched Chain Amino Acids are red meat and dairy products. BCAA are found in every protein-containing food. 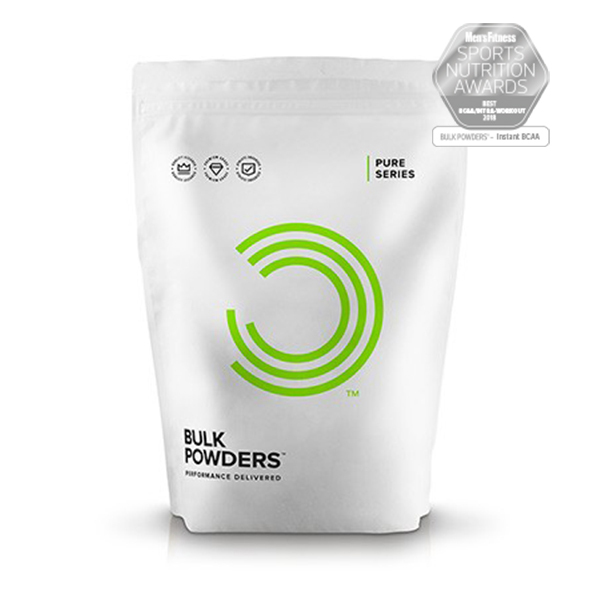 For example, BULK POWDERS™ Pure Whey Protein™ is especially rich in Branched Chain Amino Acids. 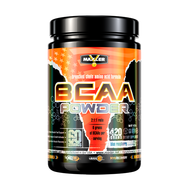 BULK POWDERS™ Instant BCAA is extremely popular due to its amazing taste and mixability. A quick glance at the Certificate of Analysis (COA) on this product page (to the side of the product image) reinforces the product quality. WHO IS INSTANT BCAA SUITABLE FOR? Instant BCAA is suitable for anyone seeking an amazing tasting, easy mixing BCAA supplement. Branched Chain Amino Acids contribute to the maintenance of muscle mass, due to their high protein content, and make an excellent choice around training. 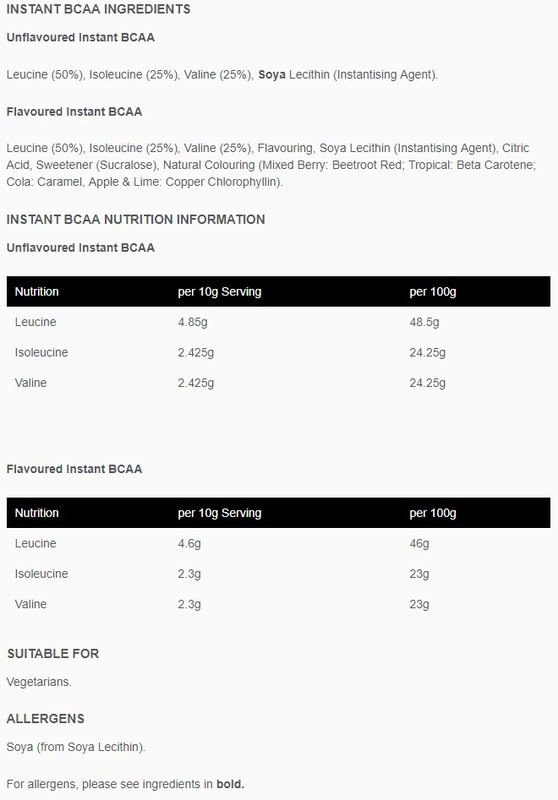 Instantised BCAA (or Instant BCAA) are a combination of the essential amino acids Leucine, Isoleucine and Valine which have been spray dried onto an instantizing agent (such as Soya Lecithin or Sunflower Lecithin) to improve the BCAA mixibility. This makes the product a lot more user friendly, by reducing the amount the product foams and froths, whilst also ensuring all other ingredients (such as flavouring and colours) mix evenly throughout the product. How can BCAA supplements improve my routine? 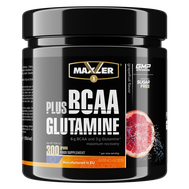 BCAA’s can be used very effectively for those who are looking to support muscle growth or reduce body fat. When you are looking to support muscle growth, it is important to supply your muscle with a rich supply of amino acids through a high intake protein. BCAAs can also be used, alongside a high protein. Ideal times to consume BCAA would be pre/during your workout. BCAAs are particularly useful when you are looking to reduce body fat levels. Consuming a high protein diet to contribute to the maintenance of muscle mass when you are in a calorie deficit, however BCAAs in particular are a very effective tool in combination with the diet to achieve this. When you are on a reduced calorie diet, training can leave your muscle tissue liable to breakdown – therefore it would be ideal to consume BCAAs before/during/after training. When should I take instantised BCAA powder? It would be best to take Instant BCAA whilst you train, you can take them in a shaker to the gym with you are sip on them in-between sets and exercises. Instant BCAA can also be used before you train. Instant BCAAs can also be used effectively throughout the day. Consuming 1-2 servings throughout the day, will provide your muscles with a constant supply of amino acids. Can I add BCAA powder to protein shakes? Protein Shakes such as Whey Protein are already a fantastic source of BCAA, however, you can effectively add BCAA to the protein shake. Other sources of protein, for example vegan protein sources (Pea, Brown Rice, Hemp Protein) are not as good a source of BCAA as whey protein, therefore it may be of benefit to add BCAA to your Vegan Protein Shake in order to obtain the benefits of BCAA specifically.